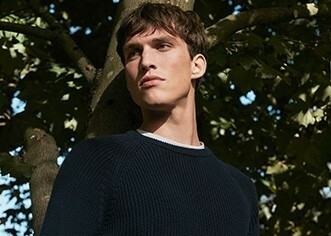 We make our crew neck jumper using a merino wool which is not only supremely soft, but strong and long-lasting. This is a lightweight knit which makes it an ideal layer year-round. Wear over a crew neck t-shirt and with well-worn jeans for a refined weekend look or pair with a tailored trouser for effortless working-week style.